this is tulip here (nathan) and these are more pics of my current setup with my drumkit (see number 66) one is a cool looking negative pic. since my last pic i have got a crappy old pearl double kick and a few different skins. i also have an extra tama bass drum and 3 toms, and i tied the smallest tama one up to my crash stand with some shoelaces (laughs) and it works... as you can see i play death metal. 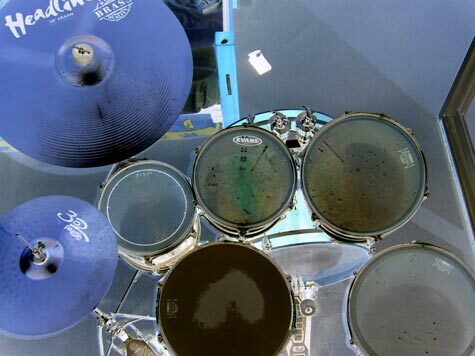 i cant be bothered to get more cymbals right now! 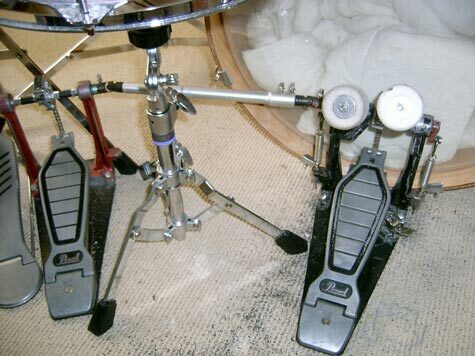 ppl look at spaun drumkits and go yamaha all the way!